Offering you a complete choice of products which include double pitch chain and sold pin conveyor chain. We are offering Double Pitch Chain to our client. 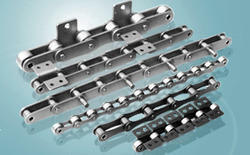 We are the leading manufacturer and supplier of Sold Pin Conveyor Chain. These chains are suitable for short conveying system. Our range of Sold Pin Conveyor Chain is specially designed using superior quality raw material and fabrication technologies, to cater to the needs of various industries. This configuration makes the chain lighter in weight and more economical than the standard type. 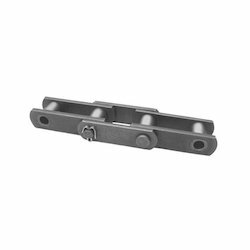 Looking for Solid Pin Conveyor Chain ?